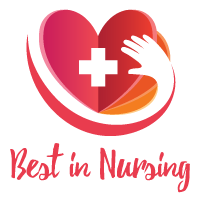 Elizabeth Goings, Hemodialysis Clinical and Patient Educator at DaVita, Inc. has been recognized as a “Leader in Nursing” among “America’s Best Nurses” for 2017. She will be sharing her knowledge and expertise in Nursing Education and Nursing. With over three decades of experience in the field of Nursing, Elizabeth offers valuable insight in her role as a Hemodialysis Clinical and Patient Educator at DaVita, Inc. DaVita Inc. serves as the parent company of DaVita Kidney Care and HealthCare Partners, a leading provider of kidney care in the United States. DaVita prides itself in delivering dialysis services to patients with chronic kidney failure and end stage renal disease by developing programs to enrich lives and the community. Since becoming a Registered Nurse in 1999, Elizabeth utilizes her years of Nursing experience in her role as a Hemodialysis Clinical and Patient Educator at DaVita, Inc. Her day-to-day responsibilities include overseeing and maintaining home dialysis patients, troubleshooting issues, CPR and First Aid instruction, and working closely with doctors on medicine protocols. Prior to becoming a Registered Nurse, Elizabeth worked as a Certified Nurse’s Aide, Certified Medication Aide, Psychiatric Aide, Pharmacy Technician II and as a Medical Records Technician at the Bureau of Prisons. Due to her various work experiences, Elizabeth has gained a wealth of knowledge and discovered how to navigate multiple avenues within the medical field. In her capacity as a Registered Nurse at Willamette Valley Medical Center, she specialized in the cardiac step-down unit becoming proficient in reading telemetry monitors. 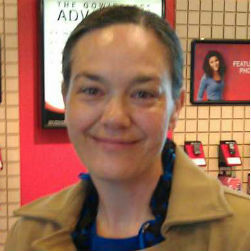 Additionally, she served as a CPR and First Aid Instructor for the Willamette Valley Medical Center. In 2006, Elizabeth started her own CPR/First Aid business. As an affiliate of the American Nephrology Nurses Association, Elizabeth is most proud to have been presented with the Kelly McManus Memorial Award. Elizabeth became involved in the field of Nursing after being inspired by her sister who worked as a Certified Nurse’s Aide while she was in high school. Looking back, she attributes her success to her faith in God. In her free time, she enjoys traveling with her husband, walking her three dogs, and church activities such as participating in the choir and singing. Considering her future, Elizabeth hopes to continue supporting others and mentoring both patients, their families and colleagues. 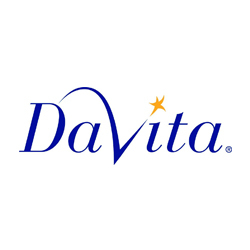 Hemodialysis Clinical and Patient Educator at Da Vita, Inc.
DaVita aims to improve quality of life through an integrated approach that cares for people, not just their conditions. The leadership development and support programs help DaVita honor what each employees values most in a teammate. As DaVita expands at home and abroad, they are committed to nurturing new neighborhoods by giving back and behaving responsibly.